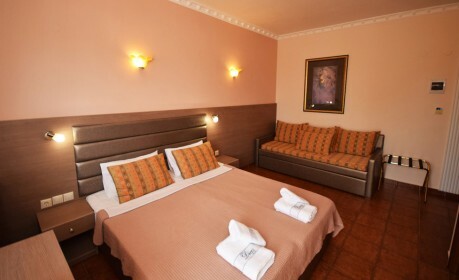 “Dias” Hotel *** is a hotel that has been completely renovated and restored for the demanding client. 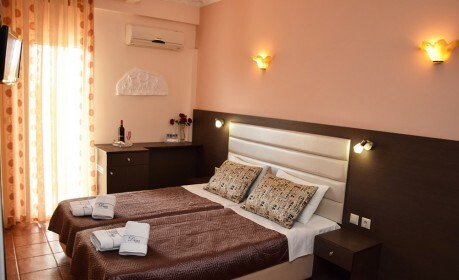 The hotel is located in a quiet corner of Olympic Beach, the tourist resort in the region of Pieria, near the foothills of Mountain Olympus. 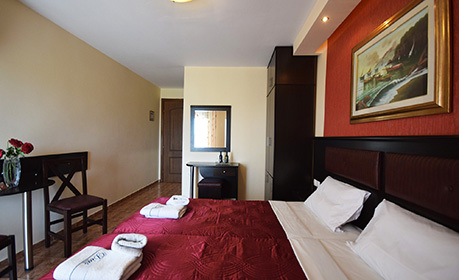 About 450 meters is the distance from the sea and a wide, fine sandy beach. The distance to the city centre is about 200 meters. The nearest city is the City of Katerini (about 8 km from Olympic Beach) which is the capital of the region Pieria. Our 24 Hour Front Desk offers you friendly and professional service providing information about our hotel, the area and close surroundings.